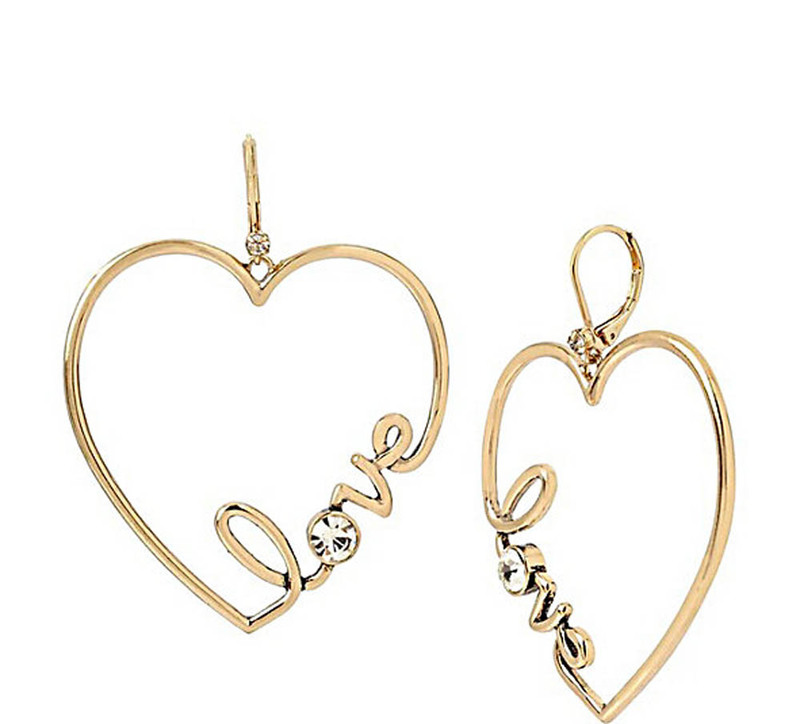 These dangling heart-shaped hoops share your love for love in a bold, and striking way. The sleek, delicate surface is accepted with a bright crystal accent. Gold tone love heart drops with crystal faceted stone accents Euro wire Antique gold tone plating Metal/glass Length: 2.5" Width: 2"